My first impression of Chelsie Worthy when I met her in the talent lounge at Beautycon was that her highlighter was poppin’! I had an immediate hunch that she was a makeup artist; besides the gorgeous illuminating streaks across her cheekbones, her fake eyelashes, eyeliner, and brows were also all on fleek. What I didn’t know was that Worthy isn’t a normal makeup artist. 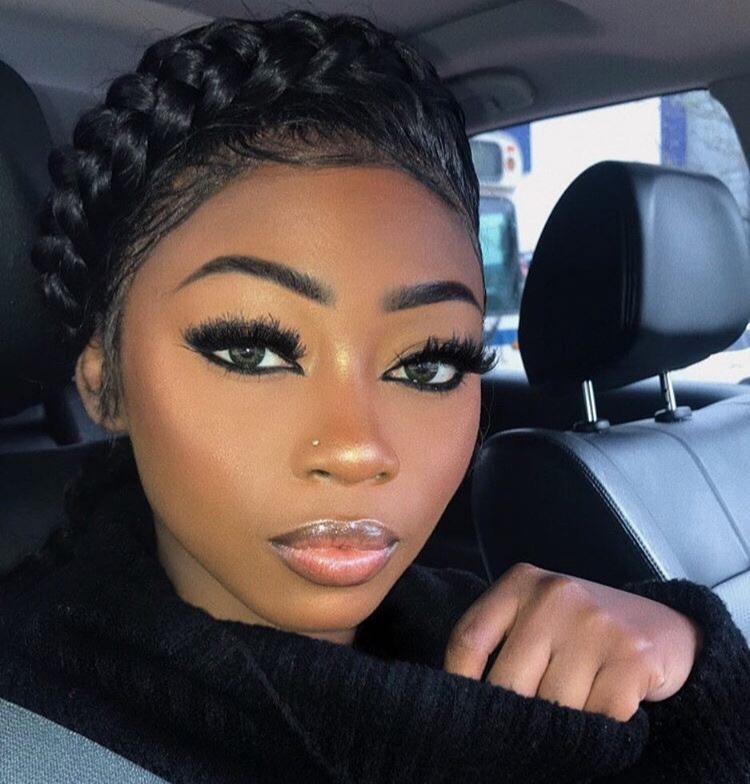 She came up with the unique concept to make “traptorials,” where she lip syncs to rap songs as she expertly applies cosmetics. Not to mention, fun graphics pop up on the screen to match the vibe as well! Worthy also has her own line of makeup called Stardust, which specializes in making a wide range of highlighters. The products are made in different hues that match the spirit of the delicious treats from brands that Stardust collaborates with. I’m talking Marble Caramel Chews, Hershey’s White Chocolate Bars, and Pink Lemonade Sour Candy! Before you reach for the refrigerator, check out my interview with Chelsie below to learn all about Stardust and of course, what her top makeup tip is (hint: it’s not what you’d think!). Why did you initially decide to start your makeup brand, “Stardust”? I started Stardust because I wanted women of color to have more options when it comes to making themselves feel beautiful. I believe highlighting is a really popular way to do that today, as it’s a key staple of a lot of makeup looks. It wasn’t always like that so I wanted to take advantage of people seeing that our generation has created something for black women to have options with. In your opinion, what makes your highlighters unique? What makes Stardust’s highlighters so unique is that they are vegan, cruelty free, mineral-based makeup products. We have various shades and the color pay-off is so strong. The highlighters can suit so many different skin tones and serve multiple purposes, as an eyeshadow, blush, highlight, body shimmer, and more. Are there any products you dream of creating for your brand in the future? I would love to create highlighting brushes and highlighter palettes in the future. Is there any celeb you’d love to get involved with Stardust? Maria Borges, a Victoria’s Secret Model! Exfoliate a minimum of four times a week—that’s what I do. Although I can’t reveal too much, I can tell you that I will to continue to work hard and enjoy life. I promise there are exciting things on the horizon that I’ll be able to share soon. You can shop Stardust at www.wvrthy.com.